My wife told me her running shoes aren’t feeling so cushion-y anymore, so I suggested she replace the insoles. That got me curious about the insoles in my running shoes, so I pulled them out to see what they’re made of. 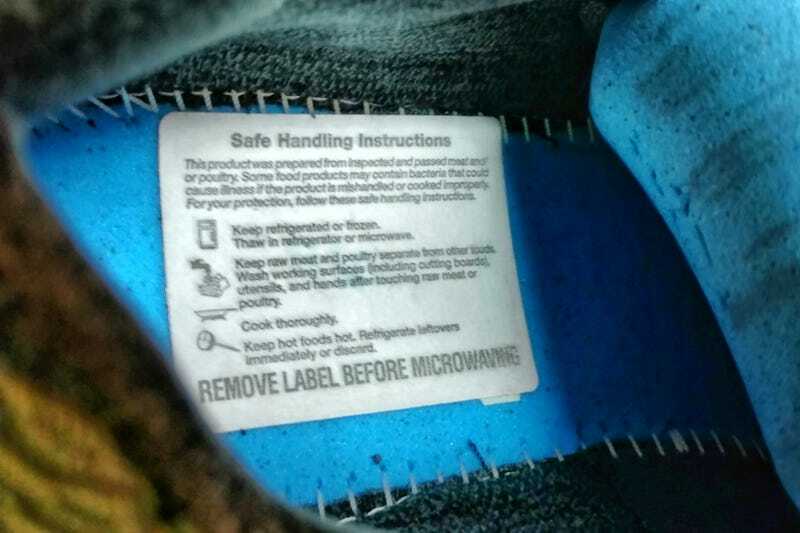 I found this food safety label in my left shoe. Someone at the Asics factory must’ve been having a laugh that day.